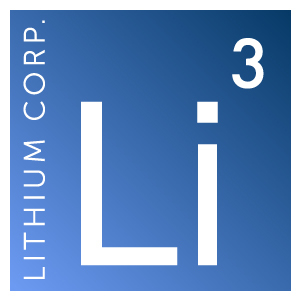 In consideration of the above Lithium Corporation will earn a full 100% interest in the properties, subject to two separate 1% Net Smelter Royalties (NSR’s) that may be purchased at anytime for $500,000 each. The Michael property in the Trail Creek Mining Division was originally staked to cover one of the most compelling tantalum (Ta) in stream sediment anomalies as seen in the government RGS database in British Columbia. Bormal conducted a stream sediment sampling program in 2014, and determined that the tantalum-niobium in stream sediment anomaly here is bona fide, and in the order of 6 kilometers in length. Tantalum in stream sediments values in the Bormal program ranged from 4.8 ppm outside of the anomaly to 31.2 ppm within the anomaly, while niobium ranged from 101.57 ppm to a high of 490.21 ppm. The values for Ta within the anomaly for the most part rank in the 98th percentile for the values obtained in the RGS surveys, and the absolute high value from the Bormal survey ranks as the 17thstrongest response relative to the RGS database, which contains over 53,000 samples. In November of 2016 Lithium Corporation conducted a short soil geochemistry orientation program on the property as part of its due diligence, and determined that there are elevated levels of Niobium-Tantalum in soils here. Also in the general area of the Michael property the Yeehaw property has been staked over a similar but lower amplitude Tantalum/REE in stream sediment anomaly. Both properties are situated in the Eocene Coryell Batholith, and it is thought that these anomalies may arise from either Carbonatite or Pegmatite type deposits. The third property – Three Valley Gap, is in the Revelstoke Mining Division and is situated in a locale where several Nb-Ta enriched carbonatites have been noted to occur, and where sampling by the BCGS in the 1980’s returned Tantalum values as high as 100 ppm Ta. A brief field program by Bormal in 2015 located one of these carbonatites, and concurrent soil sampling determined that the soils here are enriched with Nb-Ta over the known carbonatite, and indicated that there are other geochemical anomalies locally that may indicate that more carbonatites exist here and are shallowly buried. Tantalum has a number of applications, with the bulk of production being allocated for the manufacture of electronic capacitors. It also is becoming increasingly utilized in alloys where its high reliability characteristics and low failure rates make it indispensible for aerospace applications. Some other uses are; medical implants due to it being chemically inert, light weight – high resolution glass lenses; and it can be found in almost all popular hand held and stationary electronic devices in use today. There have been several electric vehicle manufacturers that have experimented with the inclusion of a large capacitor in their vehicles for those times when rapid acceleration or extra power is desired. The capacitor decreases the need for larger batteries for these sporadic periods of greater power output. Very little of North America’s demand for tantalum is met from mines on the continent, so it is conceivable that any new deposit that proves to be economically feasible may find a ready domestic market for its output.